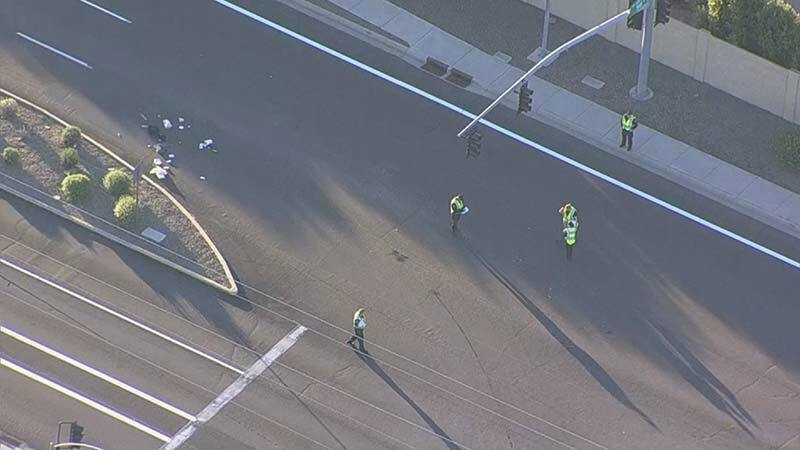 Mesa, Arizona—Carter Wojahn-Curry, age 7, is fighting for his life as a result of a hit-and-run crash near 56th Street and Broadway Road that occurred early this morning. According to Detective Steve Barry with the Mesa Police Department, Carter was crossing the street when he was struck by a vehicle. Carter is in critical condition with life-threatening injuries. Police have arrested Maria de Jesus Cabrera Davila in connection with the collision. Detectives allege that she was driving eastbound on Broadway Road near 56th Street when she struck Carter. Davila told police that she fled the scene because she was "afraid she had killed the child." Davila was arrested after returning to the scene and admitting her involvement. Police do not believe that impairment was a factor. Detectives learned that Davila was driving with a learner's permit but was not a licensed driver. It is unclear whether a licensed driver was in the vehicle with her at the time of the collision. Our thoughts are with Carter and his family and we wish him a complete and speedy recovery. We regret to report that Carter Wojahn-Curry has died from injuries he sustained in this hit-and-run accident.